Why don’t film festivals ever give feedback to the filmmakers who submit? FESTIVAL JUDGING FLOWCHART FROM THE LOWER EAST SIDE FILM FESTIVAL. "What frustrates you most about film festivals? " "If you could ask just one question of a festival programmer, what would it be? " Why don't festivals offer feedback on films? This is the reply I wrote. …it's not because we don't want to. Here at the festival office we talk about the films we're watching every day. We know that filmmakers get the impression that we're just sitting around rubber-stamping "no" on every film that comes in the door. That we're only interested in films that come with big stars or from people we know. Given the way that many festivals treat their submitters -- with months of zero communication followed by form rejection letters -- that is a completely understandable conclusion to reach. "You have to see this." The problem is, there are other things to be done at the festival besides watching movies and talking about them. I won't bore you with the details here, but if we didn't do those things the festival wouldn't happen and we'd all be out on the street. So with one full-time programmer and a handful of part-time programmers, we have to find a way to watch the thousands of movies that come in, determine the fit for our audience, and still do all of the things (like meeting with potential sponsors, like marketing, like checking in DVDs) that keep the festival running. It doesn't leave a lot of time for formulating constructive criticism for filmmakers, however much we'd like to do so. If one person on staff did nothing but watch movies for 40 hours a week, it would take him three months just to watch the films -- and that doesn't even count evaluating and scoring them. We're expecting double that number to come in again (a total of more than 3000 films) between now and the end of our submissions period. So you can see how we might get underwater pretty quickly. But what about our volunteer screening team? Couldn't they type up a few sentences to be passed on to the filmmakers? We'd have to vet each comment before it went out to the filmmaker, which would take nearly as long as writing the comments ourselves. 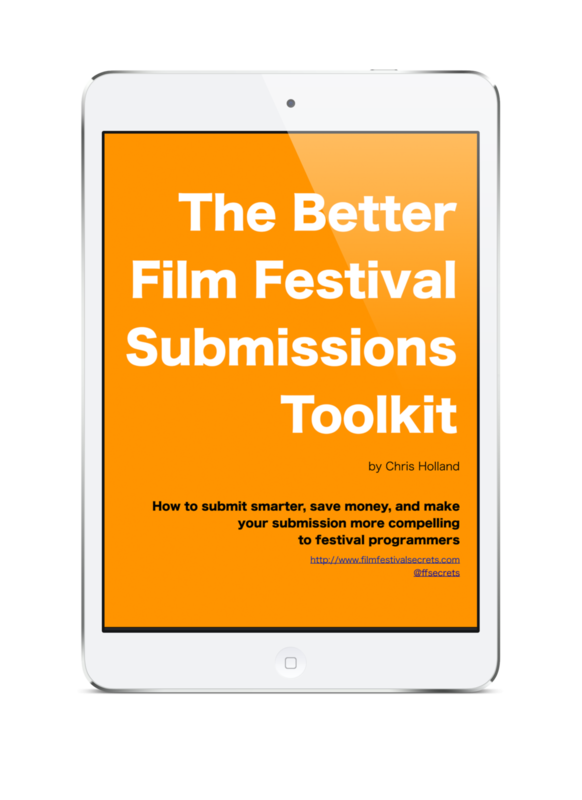 In every rejection email that went out last year, we invited submitters to contact us after the festival, when things are slow and we might have time to go back and look at our notes about your film. Out of nearly 3000 filmmakers who got that email, do you know how many came back after the fest to ask for notes? So if you're looking for comments about your film from festivals, try this: ask for feedback when they're not gearing up for their biggest event of the year. Set yourself a reminder (Siri may be able to help you with that) and send your friendly festival programmer an email once the stress and excitement are over. You might just find yourself on the receiving end of some thoughtful and constructive comments about your film. Because there are so many of you out there and each of you will read this in a different way, I know I'm going to get some comments telling me how condescending this article is. How we're doing things in a wrong-headed way that is disrespectful to filmmakers. How film festivals are a joke. I'm also going to get comments that my words were exactly what you needed to hear. I'll have more answers to commonly asked filmmaker questions coming soon here and over on the Atlanta Film Festival site, where we'll also be offering webinars so you can talk to festival programmers and other industry pros. Stay tuned.